Upper and lower duplex in good condition. This property has been used for years as intern rental. Leased out to the same corporation. Many updates such as new roof, kitchen ect. Property has 2 furnaces and electric and gas meters for both units. 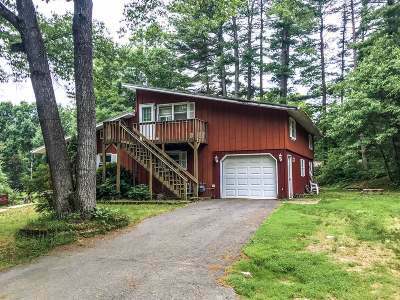 Main level unit has 4 bedroom 2 full bath, large kitchen, laundry hook up, and covered deck and a one car attached garage. Lower unit has 2 bedroom and office area. There is a 2 car detached garage on the lot. Nice size private lot that boarders city property and close to Bradley park.